For families looking to hit the water in reliable and affordable style, the VX Deluxe is a certified head-turner. The highly-comfortable precision-stitched three-person saddle sits atop a stunning metallic deck. With a generous reboarding step and the largest stern area in its class, climbing aboard is now easier than ever. Loaded with amenities not found on competing models, the VX Deluxe proves that a fantastic day on the water doesnt have to break the bank. For the young family new to the boating industry: the best selling all-around affordable PWC. New metallic paint exclusive to Yamaha WaveRunners®. New stitched seat design for added comfort and styling. Yamahas exclusive remote transmitter security system and Low RPM Mode, which can reduce fuel consumption by up to 26%. Dual mirrors for maximum visibility. VX Series is the industrys #1 seller since its inception. 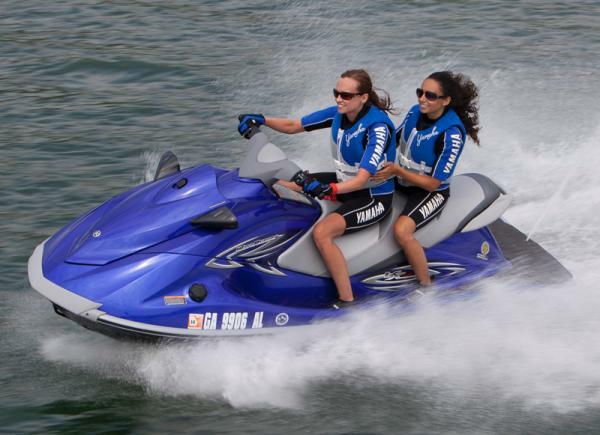 VX Series offers the best fuel economy of any 3-person personal watercraft in the industry. VX Series is the #1 choice of rental operators due to its reputation for reliability and low maintenance. 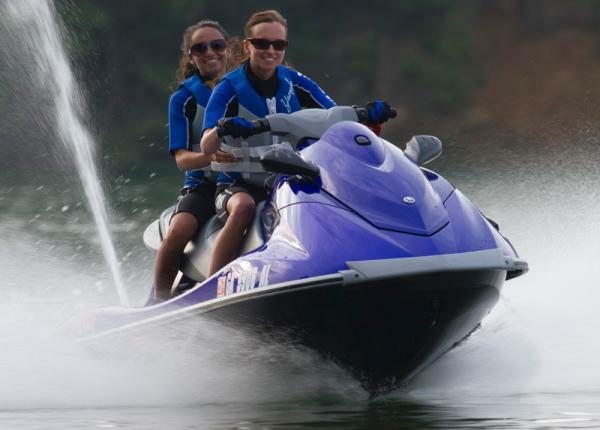 The Yamaha VX Series will go down in history as the most important watercraft ever brought to market. With combined sales that dwarf all other models by all other brands, the VX Series attracts more first-time buyers to the sport of PWC riding than all others and is directly responsible for current market growth. 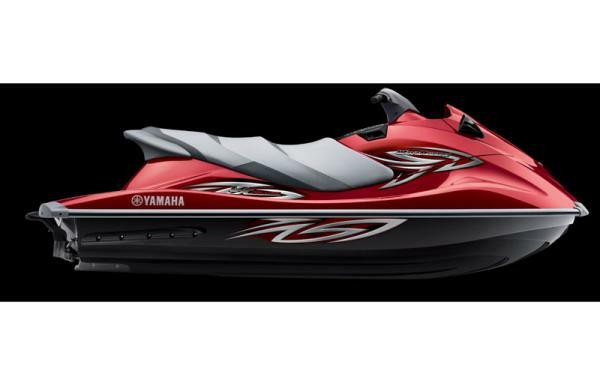 Returning to the Yamaha WaveRunner® line in 2012 are the VX Cruiser, VX® Deluxe, and the VX® Sport. Each model is renowned for its fit and finish, reliability and low cost of ownership. 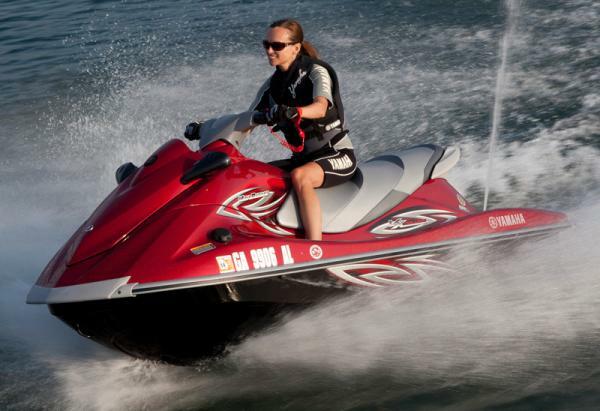 But most of all, the VX Series delivers the most fun you can have on a personal watercraft priced under $9,000. 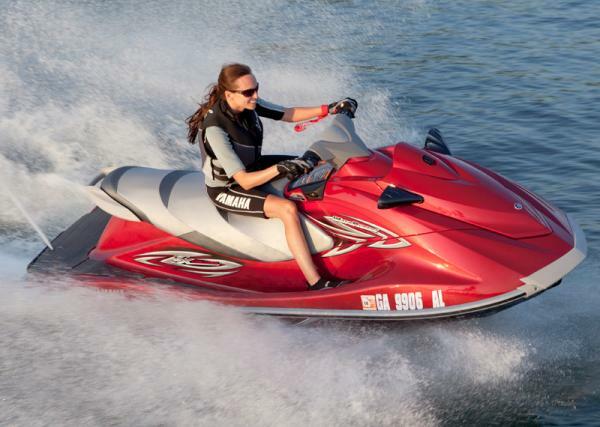 Much of the attraction of the VX Series is that each models looks and feels like a much more expensive watercraft. This year the VX line looks even better with the addition of new metallic paint schemes that have been reserved for Yamaha flagship models. Yamaha is the only company today with the manufacturing capabilities to offer metallic paint. The VX Series deck integrates the look and feel of Yamaha luxury watercraft by creating a roomy cockpit for the operator. To do that, the VX models feature a long seat design to provide more legroom for taller riders. The overall effect is not only more comfortable for the operator, but it also gives the VX Series a striking profile that mirrors Yamahas more expensive FX® line. Completing the cockpit are mirrors, a convenient glove box, and a large reverse lever. For passengers, the seat of the three-person VX Series also features a large bolster for added comfort when riding with two or three people and the thickly-padded reboarding platform is the widest in its class. New for the VX Deluxe this year is an upgraded stitched seat and the addition of a reboarding step for added comfort, enhanced styling, and rider convenience. 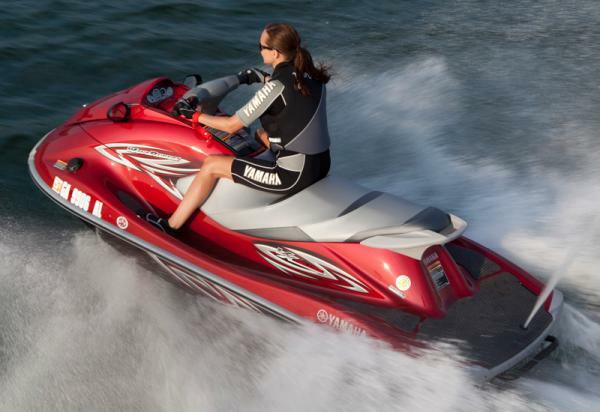 1052cc, four-stroke Yamaha marine engine that is the most fuel efficient in the PWC industry. Open loop cooling for best performance, reliability and low maintenance. Yamahas exclusive high-compression molded hull is formed to exact dimensions for the best fit and finish in the industry. Expansive usable storage that includes a large glove box with dual cup holders. All VX models are optimized to operate using regular unleaded fuel.